At our Port Union family dentistry office in Scarborough, we offer a range of general and cosmetic services to keep your smile looking great. From Crowns and Bridges to Teeth Whitening, Kotansky Dental utilizes the latest technology to provide you with high quality dental care. Take a look at the services we offer and if you need an emergency dentist please don't hesitate to contact us, we always see emergencies. We are very accommodating when it comes to our patients' individual needs, so please let us know how we can best serve you. We are always happy to welcome new patients to our family dental clinic. 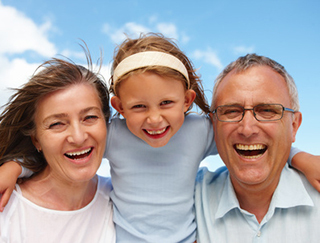 We are a family oriented oral health practice and welcome young children, teens, adults, and seniors, addressing the unique needs and desires of each age.